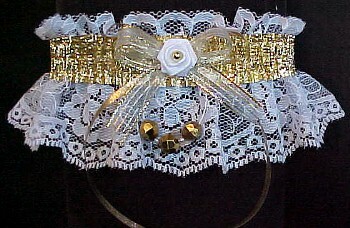 Gold Double Heart Garter for Prom Bridal Wedding Fashion on white lace. 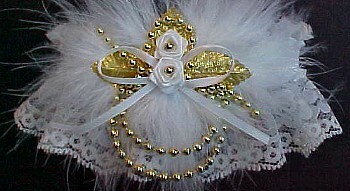 Destination Glamour and Pizzazz. 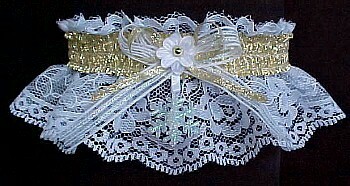 Gold Double Heart Garters w/ Metallic Bow on white lace with or without feathers. 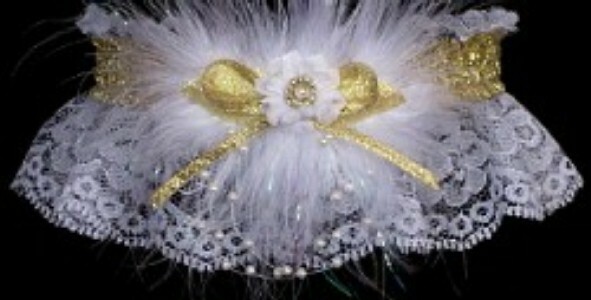 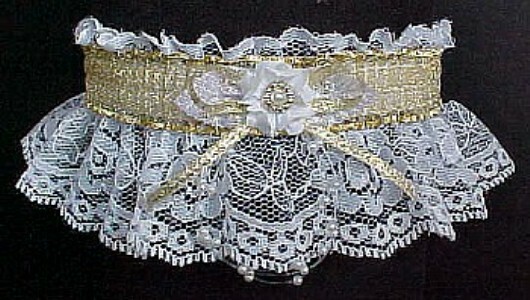 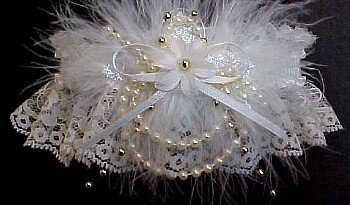 Bridal Wedding Prom or Fashion garters.